Alembic Whiskey Stills, handmade for home distilling. 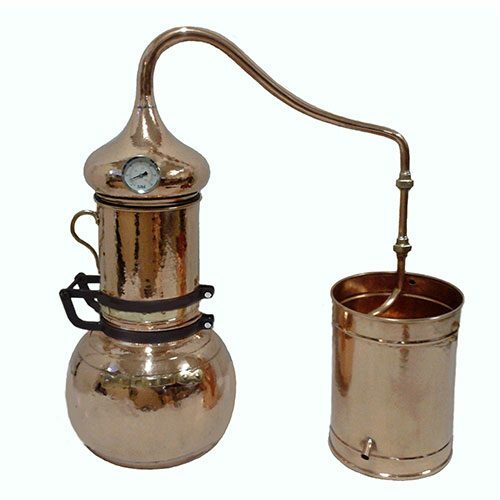 The Copper Alembic Whiskey Stills are a simple distillation apparatus used for distilling alcohol. It has been used for hundreds of years, very often related to the study of alchemy. 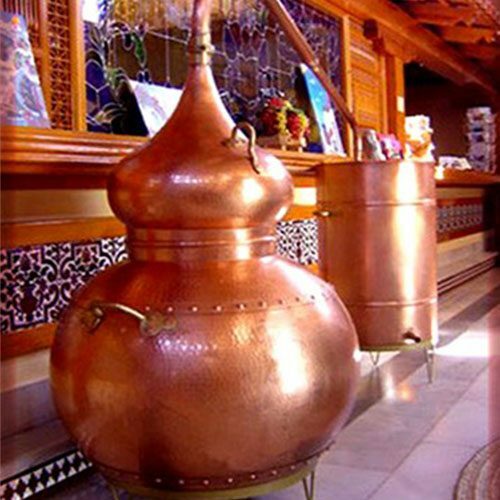 The Egyptians were the first people to construct these copper alembic whiskey stills. It is from the Arabic language that we get the word ‘alembic’ (al ambic) and alcohol (al cohol). 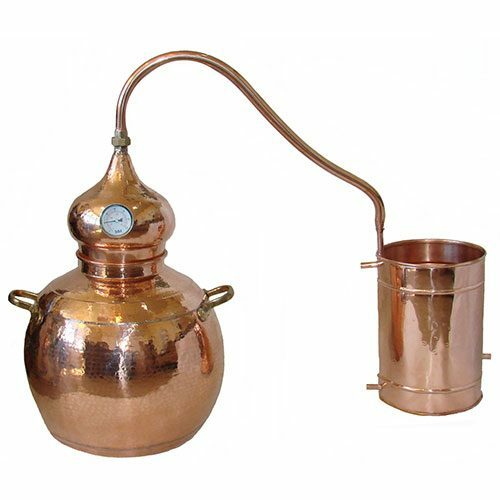 Today the Copper Alembic Whiskey Stills are a beautiful work of art hand crafted by artisan copper smiths. 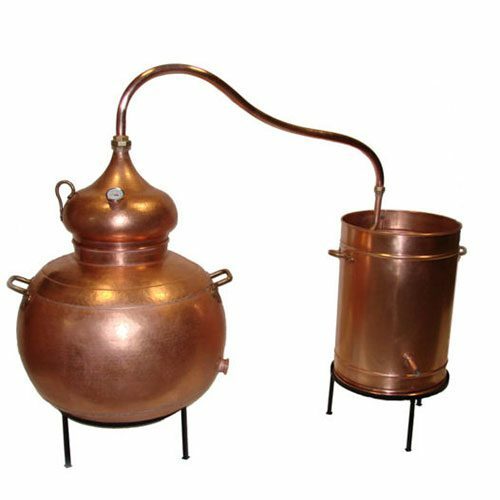 The design with copper onion shaped head and copper work is ideal for making spirits like whiskey, brandy, bourbon and schnapps. These copper whiskey stills carry over flavor and produce a quality spirit. 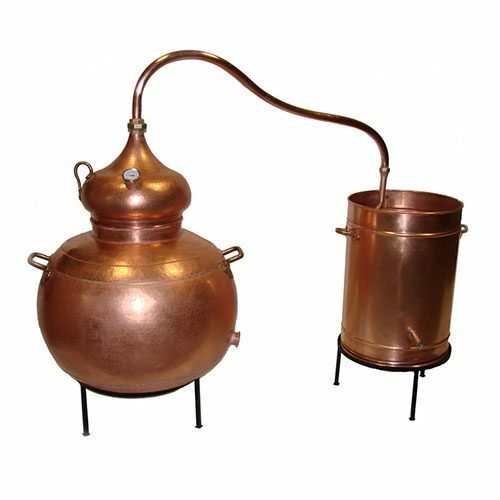 The first means of a copper distillation vessel, and the second, while it was used to describe a alchemist dream . The still was developed in 800 AD by the Arab alchemist Jabir ibn Hayyan. The word ‘alembic’ is derived from the metaphoric meaning of that which refines; which transmutes, through distillation. These copper alembic whiskey stills are manufactured in a factory that has been making stills for a millennium. Each still is made by a craftsman that has been making stills most of his life and skills have been handed down for generations. The design itself has been used for hundreds of years and is proven over and over for generations of distillers. 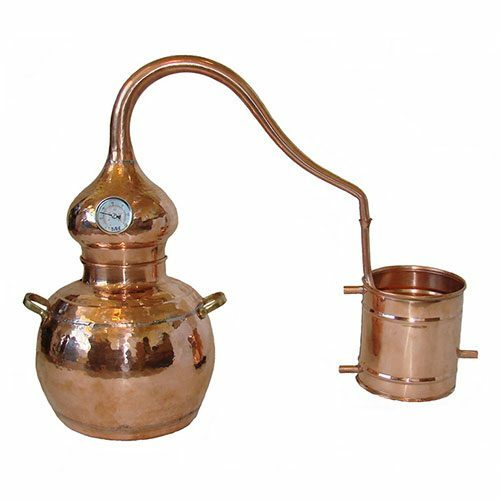 The entire still is made of copper that is hand worked. In fact every seam is soldered for lifetime strength. Alembic Stills are lead free.